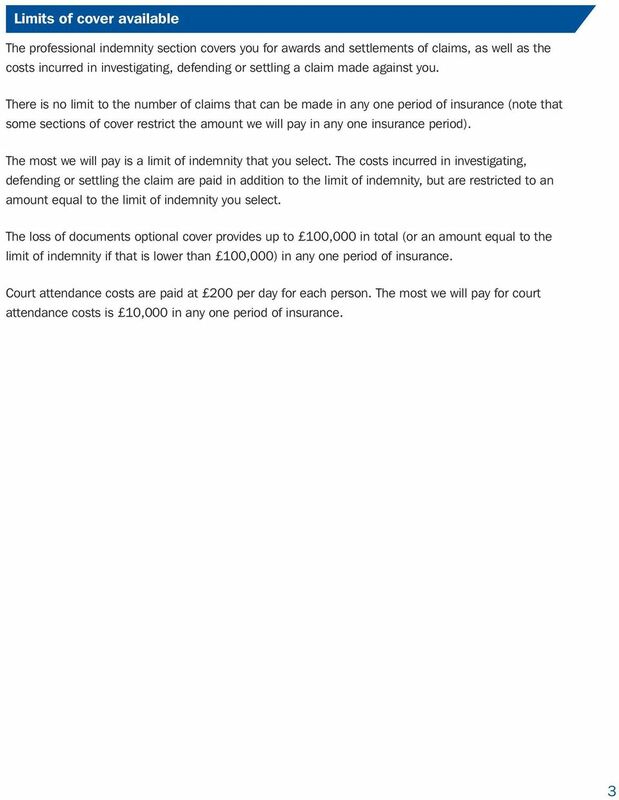 Download "Professional indemnity section only Summary of cover"
Home Excess Protection. 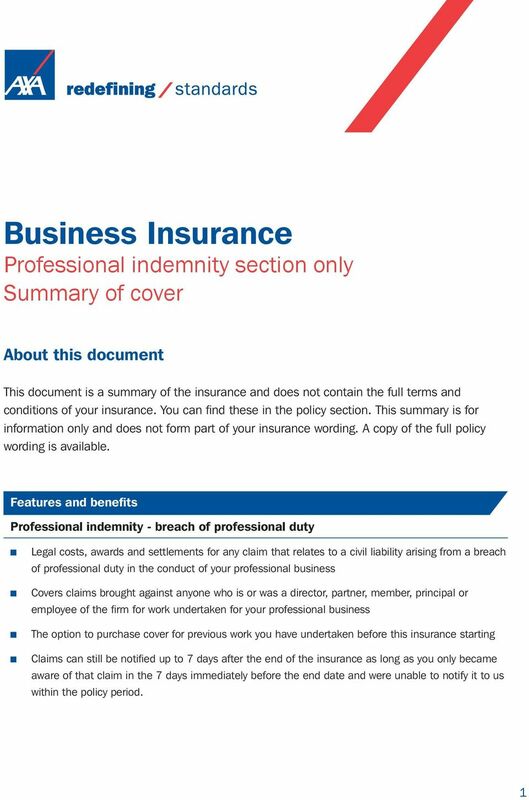 How are you covered? 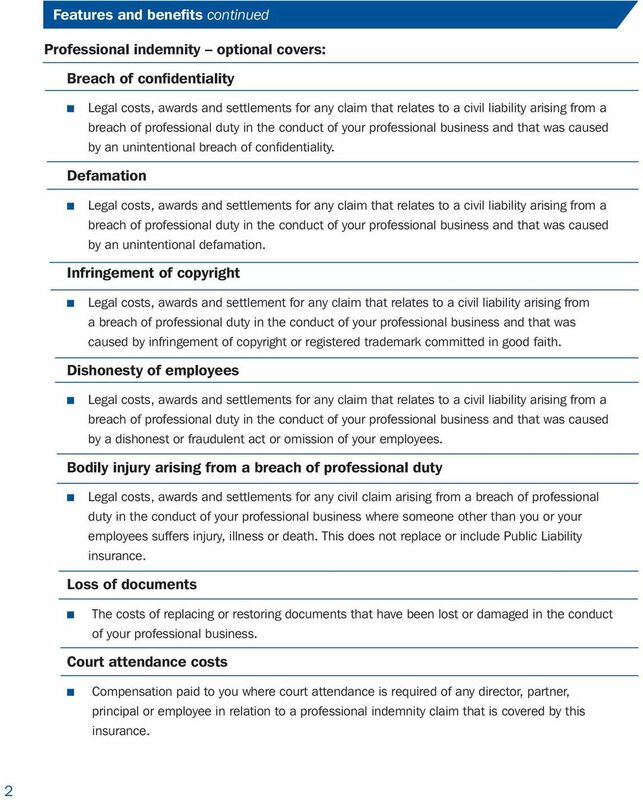 Motor Legal Protection Policy Summary This summary is designed to provide an overview of Motor Legal Protection. 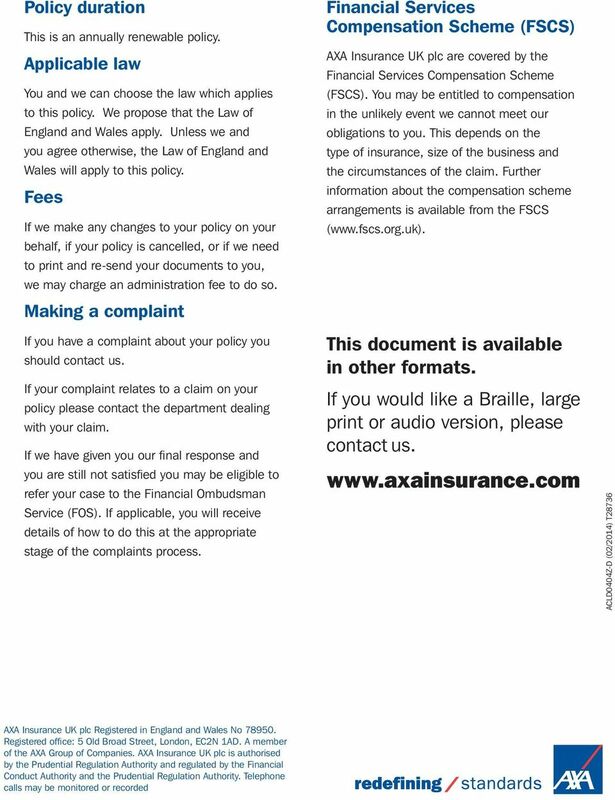 The full terms and conditions of this insurance contract can be found in the policy booklet.